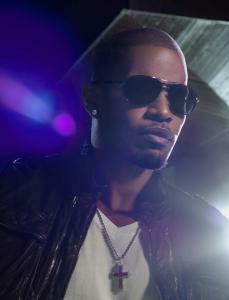 ESSENTIAL "I Don't Need It"
Jamie Foxx is as savvy about choosing his collaborators on wax as he is on celluloid. Numerous urban hitmakers line up to lend a hand to the Oscar winner's beat-heavy third album. And if they aren't all bringing their A-game, they're at least aiming for B-plus territory. The jittery "Just Like Me" is already scaling the charts thanks to an insistent hook courtesy of The-Dream (Rihanna's "Umbrella") and a guest rhyme from T.I. Meanwhile, Kanye West spreads the chill of his own wintry "808s & Heartbreak" over the whizzering synths of "Digital Girl." Lil Wayne gets wacky - "If you want a soldier, baby, I could be your sergeant/ And girl if you're Gaye, I could be your Marvin" - on the crudely entertaining club throbber "Number One." Quirky a cappella harmonies, braying soul horns, and frisky rhythms punctuate the Timbaland-produced "I Don't Need It." Grooves are chopped and screwed courtesy of T-Pain on "Blame It," an Auto-Tuned ode to the evils of alcohol. Fellow smoothie Ne-Yo offers up vocals and one of the album's best melodies for yet another homage to independent women, "She Got Her Own." On his own, Foxx fares just fine on ballads like "Rainman," but the excitement level takes a definitive dip. Like many contemporary R&B albums, the cameos sometimes crowd the main attraction, but Foxx is wise enough to intuit when it suits him best to share the spotlight.